"SUCCESS IS CALLING! More than 1 million companies are already working with us! Regus offers a private office for you and your employees, fully- furnished with the latest technology and at an affordable price! You will have a private space for 5 or 6 people, located centrally in the city, surrounded by other successful businesses. 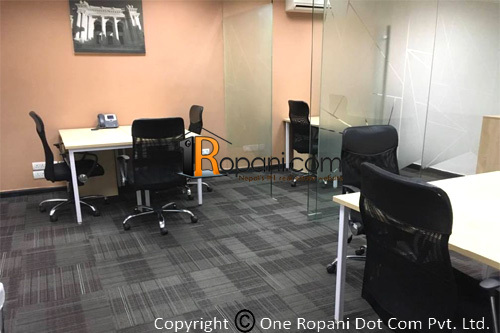 Enjoy the benefits of a private office at a minimal cost. You will have full access to high speed internet, administrative support and office furniture from the second you start. A total space of 120m2 includes shared space in the Business Lounge with high-quality office furniture and common facilities such as kitchen and reception areas. All prices are subject to availability.